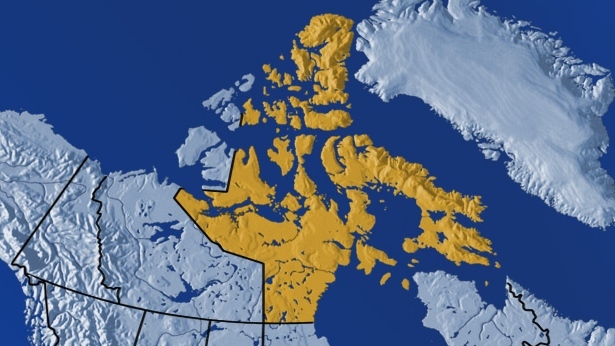 IQALUIT, Nunavut -- Nunavut has called an inquest into the murky circumstances surrounding the death of a three-month-old boy in a remote Arctic community. The probe into the 2012 death of Makibi Timilak could reveal more about a health system that has been heavily criticized in a previous review into the tragedy. Although it was ultimately determined the baby died of sudden infant death syndrome, the review found that nurses and health officials failed to follow procedures the night the baby died. It concluded the death was hushed up and found a climate of fear within the health department that prevented problems from being addressed. On the night of April 4, 2012, Makibi's mother Neevee Akesuk called the health centre in Cape Dorset on the southern tip of Baffin Island to say her baby wouldn't settle and go to sleep. She was advised to bathe Makibi and bring him in the next morning. Akesuk did so and Makibi appeared to fall peacefully asleep. Several hours later he was rushed unconscious to the health centre and could not be revived. Questions were raised about the death and the Nunavut government eventually called an external review into it. That review found the on-duty nurse mishandled Akesuk's original call. All children less than a year old with health problems are supposed to be assessed in person, which wasn't done. The death was not reported as a critical incident and no investigation was conducted. The review found health centre staff and department officials glossed over the death and seemed more concerned about protecting themselves than fixing problems. It concluded Cape Dorset's health centre was a troubled workplace long before baby Makibi's death, where bullying prevented concerns from being voiced. Health department officials didn't help. Written grievances were ignored. The nurse at the centre of the bullying complaints was the one on duty the night Akesuk called about her son. Her nursing licence was subsequently restricted to prohibit her from treating children younger than 10. Despite that, she was promoted to supervisor of the centre, where most of the care involves young children. The review warned problems at Cape Dorset's health centre could be widespread. "A culture of fear has developed within the government of Nunavut, from the very base of employees and work environments through the hierarchical ladder of authority ... There were a number of instances where health-care workers did not want to be identified when speaking with me for fear of repercussions to their employment," the reviewer wrote. "It is likely that the experience of both nurses and patients at the Cape Dorset Health Centre is not exclusive to that community." Some Nunavut politicians raised similar points. The news that an inquest will beheld comes days after Makibi's parents filed an official request for one. Justice Minister Paul Okalik had promised to call an inquest if they asked. A date for the inquest has not been announced. It is expected to take place in Cape Dorset. -- By Bob Weber in Edmonton.